Not since Wayne Gretzky ripped Leaf fan’s hearts out in game 6 of the 1993 playoffs have they felt such pain as they did on Sunday night after having a 3 goal lead on Boston with just over 10 minutes to play. (FYI I had to forgive Gretzky as I married his cousin and it would cause bad in-law relations). Making Leaf fans more prime for pain was the fact that they have not been in the playoffs for the past 9 years. After watching what had to be one of the worst collapses in hockey history, I got to thinking about what it took to be great. What I came up with is that truly great players like Gretzky and Crosby don’t only make themselves look great but they also make the players around them that much better. 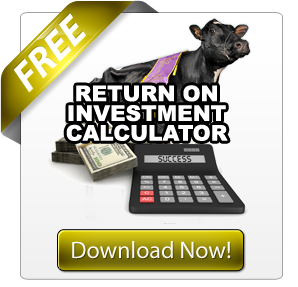 Just like great cattle investments don’t only make themselves profitable but also help the animals around them more profitable. 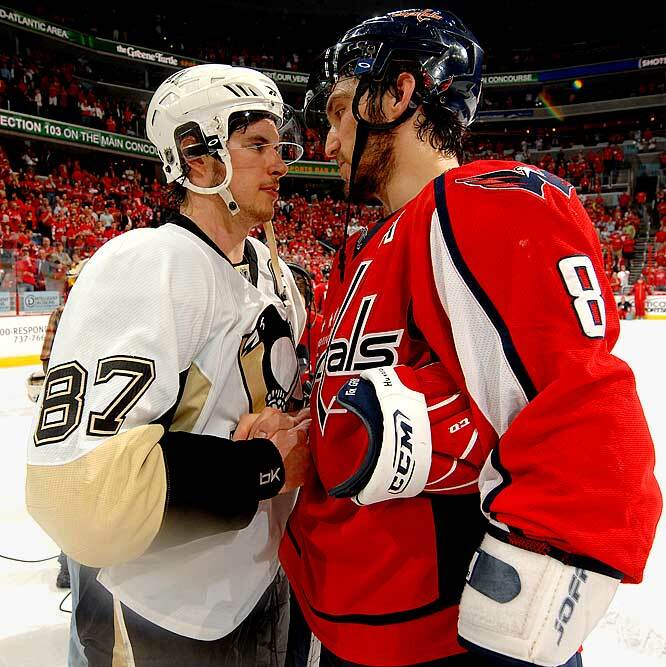 Due to the lockout of 2004-2005, Sidney Crosby and Alexander Ovechkin both entered the NHL in the same year. At the time there was great debate about who was going to be the better player. Since then the stats would tell you that Ovechkin has been the better investment. He has 371 goals, 365 assists for 735 points, whereas Crosby has had 238 goals, 427 assists for 665 points. However, sometimes numbers don’t tell the whole story. Even though Ovechkin has won more individual awards (Rookie of the Year, 2x NHL goal scoring leader, 2x most valuable player, vs. 1 MVP and 1 scoring title for Crosby), ask any NHL player which one is better and they would tell you that Crosby is by far. That is because Crosby not only puts up numbers himself but he also makes the players around him raise their level of play. For example, before playing on a line with Crosby, Chris Kunitz highest goal total was 26 in an 82 game season. This year, playing with Crosby he had 22 in the shortened 48 game season. That is an almost 50% increase. This outstanding ability to inspire others around him has resulted in Crosby having played more playoff games than Ovechkin and has already won a Stanley Cup in his career. When I got to thinking about how the truly great ones not only make themselves look great they also make the others around them better, it reminded me of a comment that Jeff Butler of Butlerview made in an interview we did with him just before Royal last year (Read more: Exciting Times for Butlerview). In the article Jeff say’s “type brings the foot traffic to the farm, but genomics and pedigree get them buying.” This further reminded me of an article I had written early this year about the great RF Goldwyn Hailey and how she herself may not be a great return on investment (Read more: RF Goldwyn Hailey: Cash Cow or Cash Hog?). While there is no question that Hailey’s own numbers alone are not the highest ROI in the market today, if you look at it from a marketing investment she and other great show cows could be the wisest marketing investment you could ever make. Now I am not talking buy these animals for the over 1 million dollar mark. But as Jeff says nothing drives traffic to your door like a great show cow. Something Jeff should know considering he owns 2 of the top 5 cult following cows in the world today (R-E-W Happy Go Lucky and Cookview Goldwyn Monique). 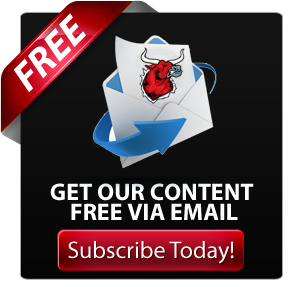 The big thing you need to remember and as Jeff pointed out in our article is that you need the supporting cast in your herd to help convert that traffic into revenue. For Butlerview that means animals like Regancrest S Chassity, Regancrest G Brocade and De-Su 199 Chart Topper. These high genomic animals from big name pedigrees are the ones that help Butlerview’s big investment in show cattle pay dividends. Key to any of this is the fact that all animals need to be good embryo producers or you might as well kiss your money goodbye (Read more: What Comes First the Chicken or the Egg?). The great hockey player to every play the game, Wayne Gretzky, always said don’t go to where the puck is but rather, see where the puck is going and go there. As we highlighted in our article about the marketing of Glen Drummond Aero Flower and DES-Y-GEN PLANET SILK, you need to see or even predict where the marketing is heading and make sure your marketing and breeding goals are in alignment with that (Read more: Marketing Lessons From Glen Drummond Aero Flower). As the dairy industry develops, efficient milk production that fills the consumers’ needs will gain greater importance. National indexes are always being adjusted to reflect the marketplace. 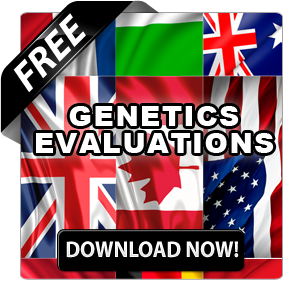 In Canada it will not be long before greater weighting will be placed on health and fertility traits, this means you should already be breeding for this today so that your ahead of the curve when these changes occur. 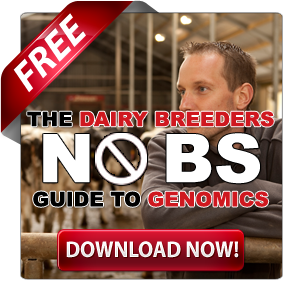 Remember that it’s not only about how much milk, or how many show winning daughters a sire produces, but it’s also important to breed to a bottom line that is consumer friendly. It’s only a matter of time before the national indexes reflect this even more. 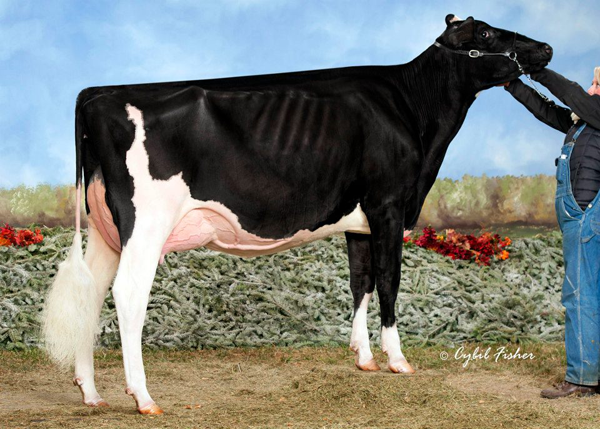 David Dyment has kept Planet Silk ahead of the curve by combining both high index, Red Factor and polled in one complete package. Her sons and daughters dominate the top of the Red and the RC list (GTPI). Her son DYMENTHOLM S SYMPATICO is one of the highest GTPI and GLPI active bulls in the breed. Headliners will get you attention, but their ability to make the others around you shine as well will be what makes you the money. Sidney Crosby is a great player, but it’s the ability to lift up the others around him better that wins the Stanley Cup. The same was true for Wayne Gretzky. It wasn’t just his own ability to dominate a game that created the opportunity for Gretzky to appear in 6 Stanley Cup finals, winning four of them. It was his ability to see the play developing and make his team around him shine too that did it. Until players like Ovechkin learn this key lesson he will never win a cup. The same is true when you are designing your genetic marketing program. Until you learn just how you are going to use your headliners to maximize the other genetic stars in your herd and look 3+ years down road and see where the market is heading, you are never going to generate as much return on your investment as you could. The dairy cattle business is built by people who have the passion and persistence to bring their dreams to reality such as Butlerview Farm of Chebanse, Illinois. Butlerview, which is owned and operated by Jim and Jeff Butler and their mom Joyce, is a state of the art facility, where brood cows and show animals are on display at all times in one location. It is the realization of a family dream based on their passion for cattle. The original facility from the 1970s has undergone major renovations, with utmost attention to cow management, comfort and presentation. From hutches, through the heifer facility, to the box stall barn, every detail has been carefully considered to provide the best environment and allow the animals to reach their full potential. Separate housing for bulls and complete federally approved flushing facilities round out this field of dreams cattle genetics business. As Butlerview moves toward an exciting future Jeff is enthusiastic. “There are unlimited possibilities ahead.” They look forward to working to grow their own business and those of their clients. 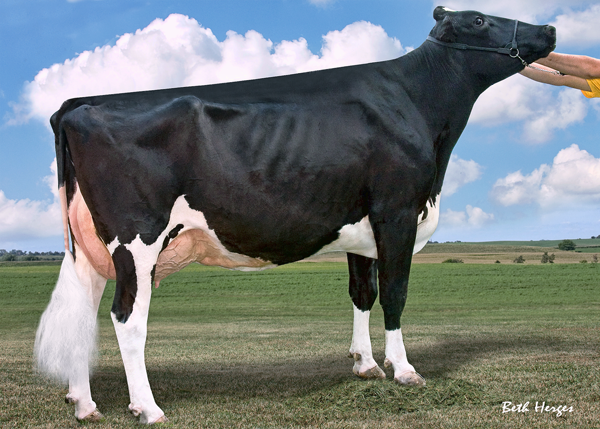 REGANCREST-PR BARBIE is often referred to as the premier brood cow in the Holstein world for type. Barbie and three of her daughters have all topped the USA Cow PTAT list. As a result, many descendants have brought high prices at public auction and in private treaty sales. Barbie spent her entire career under the ownership of her breeder, Regancrest Holsteins in Iowa, but her descendants have traveled the world. Born in 2001, Barbie brought together the two main cow families at Regancrest. Her sire Durham, EX90 and Gold Metal, was known for siring udders and show cows. He was the very best son of the great SNOW-N DENISES DELLIA EX-95-2E-USA GMD DOM 5* that Regancrest also brought to fame. On her dam’s side, Barbie is the eighth generation of Regancrest breeding, which started from the Regan purchased cow ZUBES ORMSBY FAYNE EX90. 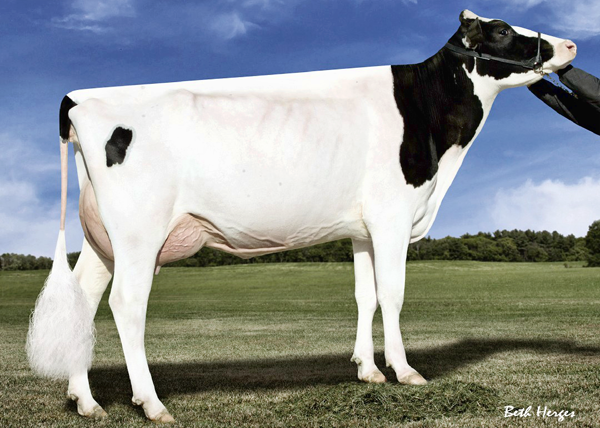 Barbie’s dam, REGANCREST JUROR BRINA, like Barbie scored EX92 and earned GMD status. In fact Barbie was the fifth generation of Excellents with the Regancrest prefix. Her sire stack is Durham x Juror x Aerostar x Chief Mark x Board Chairman. All well-known and well-respected sires. 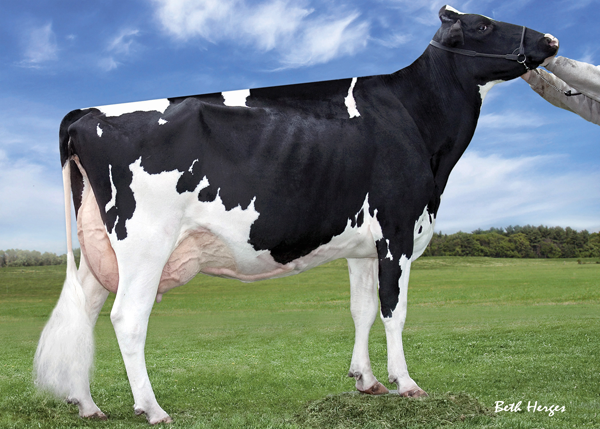 Barbie’s dam, Brina, EX92 and GMD, made records to 15,772 kg milk 3.6%F and 3.0%P at 4yrs of age. As well, Brina had eight other Durham daughters including Bliss VG89 (2yrs), Bianca EX92 3E and Bunny EX93, who crossed extremely well with Goldwyn. Walkway Chief Mark appears three times in Barbie’s pedigree. 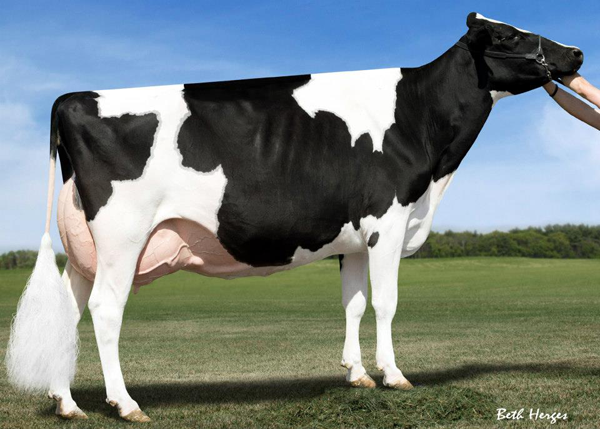 Her third dam, REGANCREST MARK CHAIRMAN BEA EX-91-2E-USA GMD DOM, was sired by Chief Mark; her sire’s dam (Dellia) was Chief Mark’s very best daughter; and the dam of her maternal grandsire (Juror) was sired by Chief Mark. With that much Chief Mark influence, it is relatively easy to see where her width, depth of rear rib, smoothly blending fore udder and boxcar rump came from. Barbie calved at 2-06 and produced (305D) 12,120 kg milk 3.9%F 3.0%P and classified high VG. In 2004 she was nominated All-American Jr 3 Year Old after being Intermediate and Reserve Grand at Minnesota State Fair and 5th at World Dairy Expo. She was raised in score to Ex92 after calving for a second time. In 2010 Global Cow of the Year Competition Barbie was nominated, was the Readers Choice and placed second. Barbie was #1 PTAT Cow. Her indexes were CTPI 2178 and PTAP 4.50. Her star shone brightly. When looking at Barbie’s progeny, it is not about the performance of Barbie’s more than 27 daughters it is about how many to feature. Shottle followed closely by Goldwyn were her best mates. All but one of her daughters have classified VG in their first lactations. By 2010 she had an unheard of 8 EX and 19 VG daughters. Three of her daughters have held the number one Cow PTAT position and at least eleven have made it to the top twenty-five PTAT Cow ranking. 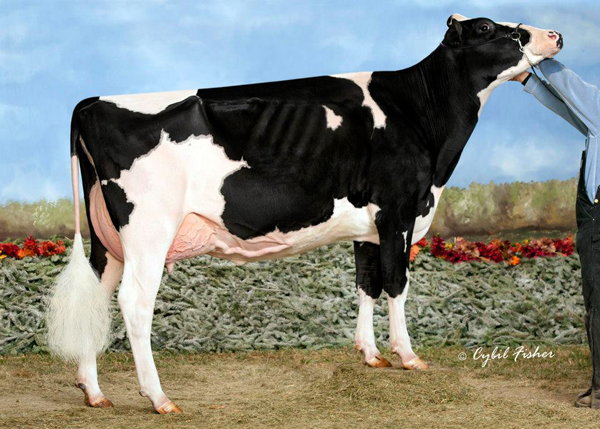 REGANCREST G BEDAZZLE EX-91-5YR-USA DOM (Goldwyn) was the first Barbie daughter to be #1 PTAT Cow and was sold to Seimers Holsteins. 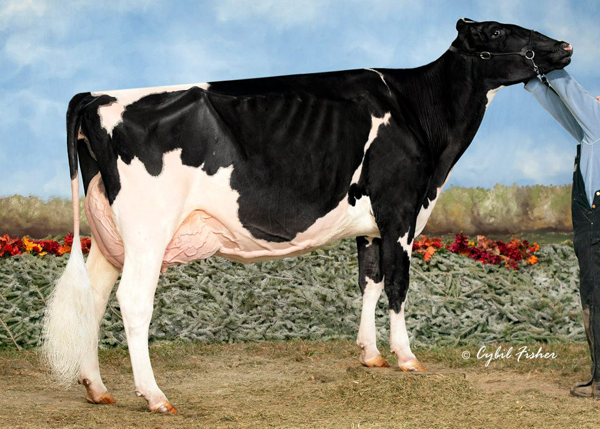 REGANCREST CINDERELLA EX-92-2E-USA DOM GMD 4* (Champion) is the dam of many top daughters including REGANCREST S CHASSITY EX-92-4YR-USA DOM the dam of numerous high genomic sons (Chassity is also a Golden Dam Nominee, she will be reported on soon in the Bullvine). Chassity and her 14 offspring sold for $1.5. REGANCREST BREYA VG-88-3YR-USA DOM 1* (Shottle) was a former #1 PTAT Cow. 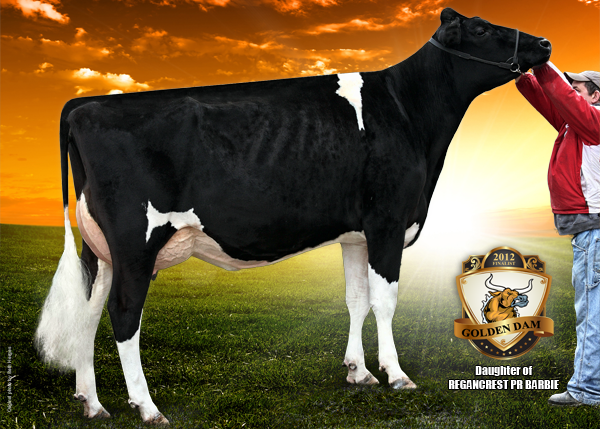 REGANCREST G BROCADE EX-92-4YR-USA DOM (Goldwyn), another former #1 PTAT Cow, sold with offspring for $900,000. REGANCREST BARBARA EX-92-4YR-USA DOM GMD (Shottle) made it to #31 CTPI Cow and was first 2yr old and Reserve Intermediate Champion at Iowa State Fair. 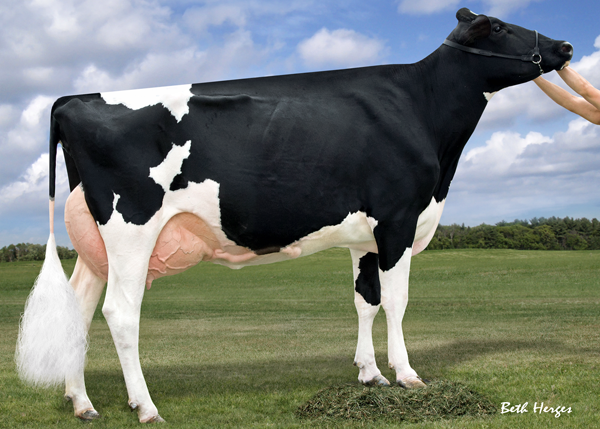 REGANCREST G BRIZELDA EX-90-4YR-USA DOM (Goldwyn) produced 4-04 (305D) 14,864 kg milk 4.0F 3.4P. 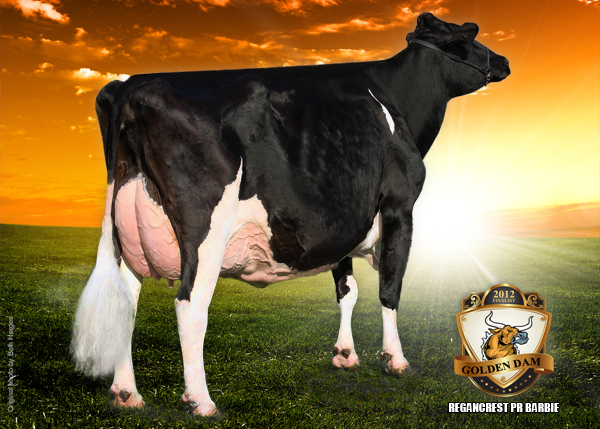 REGANCREST MAC BIKAS VG-87-2YR-USA is the dam of the high genomic type sire MR ATWOOD BROKAW (Read- 7 Sires to Use In Order To Breed the Next World Dairy Expo Champion). Following on from these and other Barbie daughters there are numerous granddaughters that have topped lists and topped sales. Five Barbie sons were proven in AI. 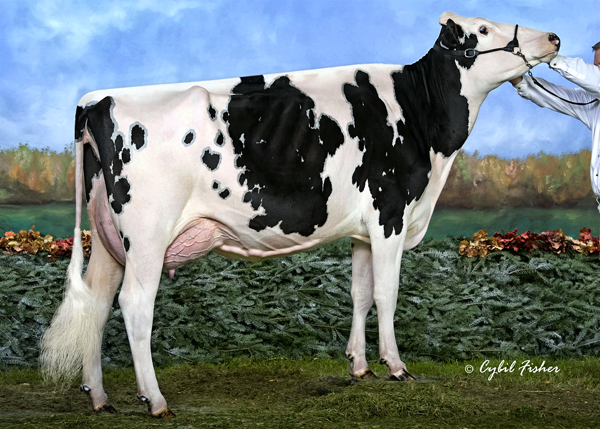 REGANCREST S BRAXTON EX-95-5YR-USA (Shottle) was returned to active service by Select Sires based on his above average milk yield and superior type (PTAT 3.57) proofs. Baltimor (Shottle), Birk (Toystory) and Bonzai (Dundee) were all proven in Canada and all achieved Superior Type proofs. Mr Blackjack (Dundee) achieved PTAT 2.12 in the USA. There are many grandsons, great grandsons and great great grandsons now being used widely based on their genomic indexes. These sons make another long list of stars for Barbie, which includes Bradnick, Branson, Brokow, Cameron, Carson, Cashcoin, Cashmoney, Circuit, Colt 45, and Gold Chip. Barbie Breeds True for Type. 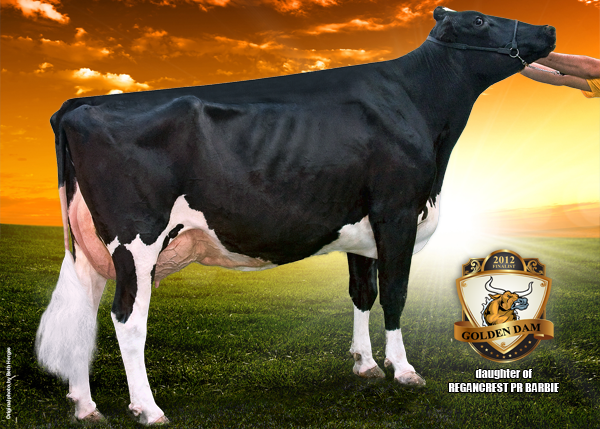 She is the Holstein Breed Icon. High rankings for PTAT are something Barbie and her descendants achieve with ease. With many grand and great granddaughters and grandsons are now receiving high genomic indexes for type, production and functional traits, it appears that Barbie’s legacy of great udders, excellent dairy strength, high classification scores and global demand will continue. Do you think Barbie deserves to win our 2012 Golden Dam Contest? Let us know. Your vote counts.